Each year, the Callahan regatta invites Olympic, world, and local champion sailors to come and speak about their experiences and share their wisdom and passion for our sport. Past presenters include Buddy Melges, Peter Commette, Betsy Alison, Peter Bromby (four-time Olympian), Mark Reynolds and many more, including Bay Head’s own Molly Lucas. The Trustees of the Callahan Foundation are proud to announce that the keynote speaker for the 2018 regatta will be Dawn Riley, one of the best know sailors in the world. Love is a producer, on-camera host, videographer, editor, graphic designer/animator, script-writer, voice-over artist, and social media manager for T2PTV in Annapolis, Maryland, a video production and online broadcast company with a focus on yachting. 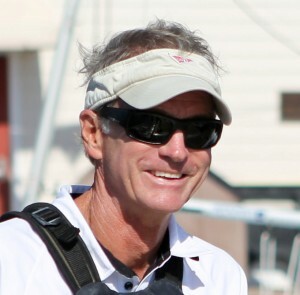 Grosvenor is an International Judge, Umpire, and Race Officer in the sport of sailing. She is also currently Chair of the Race Committee and Annapolis Yacht Club. Grosvenor is a successful J22 and J24 sailor and is an internationally ranked match-racing sailor. 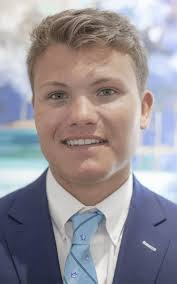 Melges is a 19 year-old rising star in the sailing world. Melges placed 2nd in the E-Scow Nationals at the age of 13 and won the E-Scow Blue Chip at the age of 16. He is currently campaigning in the 49er class and is an Olympic hopeful. 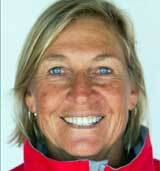 Riley was the 1st woman to have a physically active role in the America’s Cup on the winning America3 team in 1992. In 2000 Riley created and led America True, a coed team with a very modest budget that surprised all experts by outracing many of the top teams in individual races of the round robin and Semifinal competitions, including New York Yacht Club’s entry and Dennis Conner’s Stars & Stripes. The America True team had one of the 1st fully active foundations as a part of the campaign. The America True Foundation continues in its work of making sailing accessible with programs across the United States getting at-risk-kids out on the water. Riley served on the board of the Women’s Sports Foundation from 1999–2006 as the President for 2003 and 2004. She is also politically active in the Democratic Party. 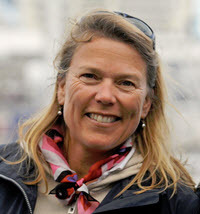 As watch captain, engineer and diver on the 1st All Women’s Team to race around the world, on Maiden in the 1989–90 Whitbread Round the World Race (now known as the Volvo Ocean Race), Riley was known as a leader on the water. In the following edition of the Whitbread organizers and sponsor Heineken called upon her to lead another women’s team that had had a mutiny aboard their boat during the 1st leg. This story of physical and emotional extremes combined with growing leadership is recounted in the book “Taking the Helm” (Little Brown). In 2007 Riley continued to work in the America’s Cup, as the General Manager of the French Team for the America’s Cup, Areva Challenge. 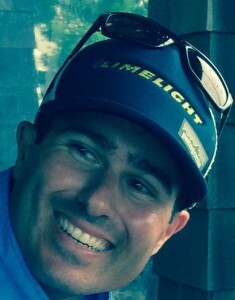 In 2010, Riley became the executive director of the Oakcliff Sailing Center. Oakcliff’s mission is to improve the sport of sailing in the United States, and it operates out of Oyster Bay, New York with a fleet of nearly fifty racing boats, including the largest collection of Swedish Match 40s in the world. Elizabeth ‘Betsy’ Gelenitis Alison started sailing at age 7 because her father insisted. Grumpy at first, soon Betsy was singing with her pals as they slipped happily over Barnegat Bay. She was successful as a local sailor, but turning it into a life dream, or a profession, never occurred to her. Then in 1977 she found herself at Tufts University, which just happened to have the best sailing team in the country. When her father died during her freshman year, a friend persuaded her to go sailing on Upper Mystic Lake. For the first time Alison realized her natural aptitude for the sport. A self-described seat-of-the-pants sailor, she learned the technical side from talented Tuft’s teammates. She credits numerous mentors, like Dave Perry who told her to buy a Laser, then told her how to sail it in heavy air: “pull everything tight and hike” (she did, winning her first, full-rig Laser regatta); her coach Joe Duplin, who pushed her to do more than she thought possible; and fellow collegians like Ken Read, Tommy Lihan, Morgan Riser, and Lynn Jewell Shore. An Honorable Mention for All-American at Tufts in 1981, Alison has a unique ability to quickly apply what she learns. Ken Read told her how to sail a J-24 over lunch, after which she won the first of her five Women’s Keel Boat Championships. 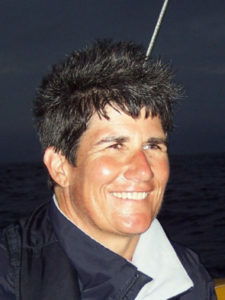 In 1998, Allison was asked to coach the USA team in the World Disabled Sailing Championship. Today she is the US Sailing Team Sperry Top-Sider Paralympic Coach. Malcolm Paige is a two-time gold medalist and a seven-time world champion in the 470 from Australia. 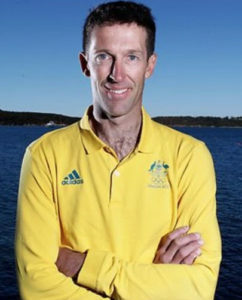 He has led the Aussie sailing team from 2005-2012 and is a member of the Aussie Sport Hall of Fame. When we look at our sport, the machine that Australia has created to develop their youth sailors into Olympic champions is remarkable. This is what the USA wants and needs to learn for our team to rise to the heights of success which we have not seen since Bay Head’s Sam Merrick led the team in 1984. As one Bay Head birdie has whispered in his ear, Malcolm needs to create the next Merrick Moment. Please mark your calendars and invite your family and friends to this world-class day, with one of the true rock stars of the sailing world. Malcolm is looking forward to sailing on an A-Cat in the afternoon and crewing with Commodore Koar and son Bobby on their E-Scow in the Bay race on Saturday. Come and listen, learn, and support sailing at Bay Head Yacht Club and Go USA! Jeff Bonanni grew up in Surf City, New Jersey and sails out of the Toms River Yacht Club. Jeff primarily races his E Scow “Limelight”, with which he most recently won the 2015 NCESA National Championship. He is one of a handful of skippers in E Scow class history to have won all six national championship race trophies. When not racing his E scow, he enjoys racing his foiling moth and crewing in Sandpipers for his father. Jeff graduated from Boston College, where he earned ICSA All-American honors. Other highlights include winning the 1999, 2000 and 2002 Laser Radial North American Championship and the 1999 U.S. Laser Radial National Championship. Jeff lives in Little Silver, New Jersey with his wife, Therese, and son, Peter.